Adults, children, seniors, students and families can avail of a fantastic offer when they proudly sport their GAA club, county or Kellogg’s Cúl Camp jerseys with 50% off stadium tours this January. The Croke Park Stadium tour brings you on a behind-the-scenes journey through the home of Gaelic games. Some of the highlights include taking a seat in the VIP area, getting a birds-eye view from the media centre, sneaking a peek inside the dressing rooms, and of course, walking in the footsteps of legends as you go pitchside through the players’ tunnel! The offer also includes admission to the GAA Museum, where you can immerse yourself in the spine-tingling and completely unique story of Gaelic games from ancient times to the present day. The vast collection includes rare and precious artefacts from our national games, such as the original Sam Maguire and Liam MacCarthy Cups. It also includes a visit to the Interactive Games Zone where you can test your hurling and Gaelic football skills and access to the museum’s current temporary exhibition ‘Imreoir to Bainisteoir’, which celebrates players who have won All-Ireland’s as both players and managers. In 2018, the visitor attractions at Croke Park – the GAA Museum, Croke Park Stadium Tour and the Ericsson Skyline Tour – achieved the much-coveted TripAdvisor Certificate of Excellence ‘Hall of Fame’ Award as well as breaking a Guinness World Record during the GAA Museum’s 20th Anniversary. 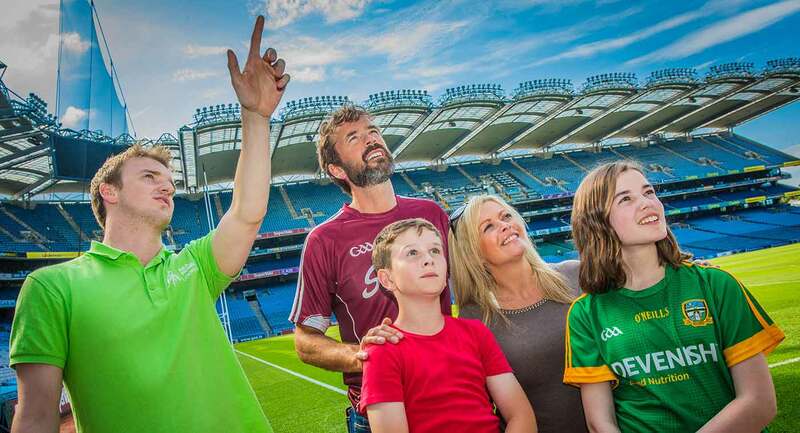 Croke Park is an iconic stadium steeped in history and has been at the heart of Irish sporting and cultural life for over 100 years, so it really is a must.